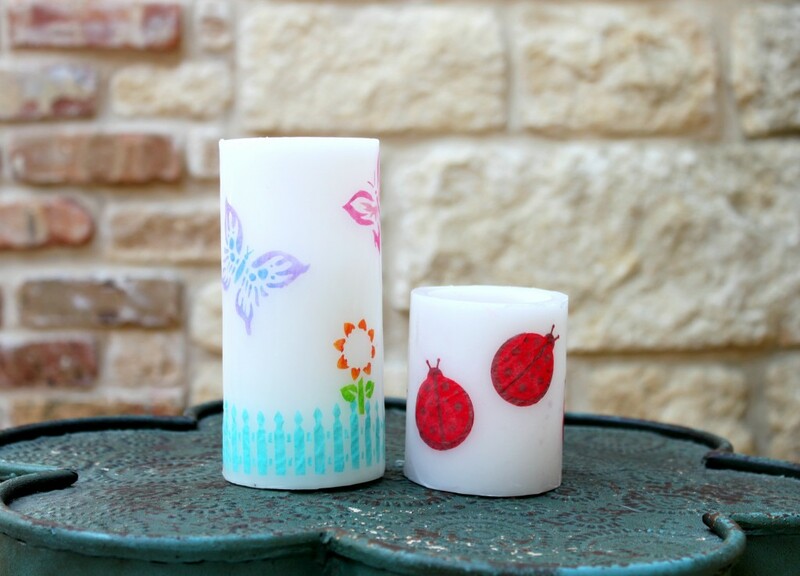 Stenciled candles are a fun way to create custom decor. 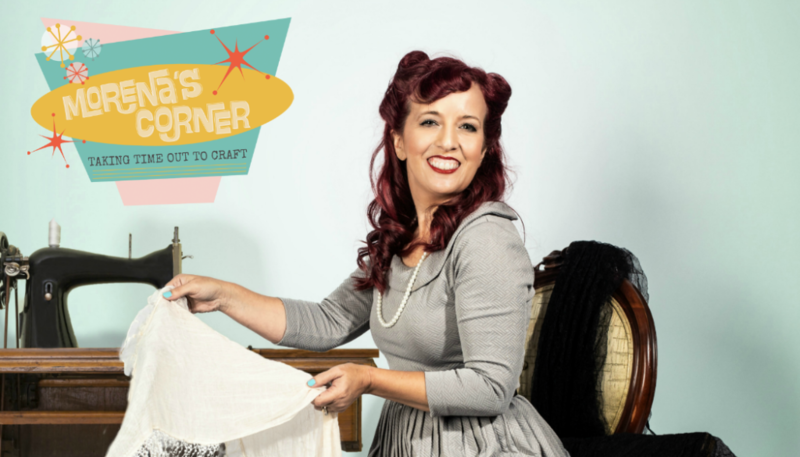 I love to create my own custom home decor, and this project is an easy way to do just that! 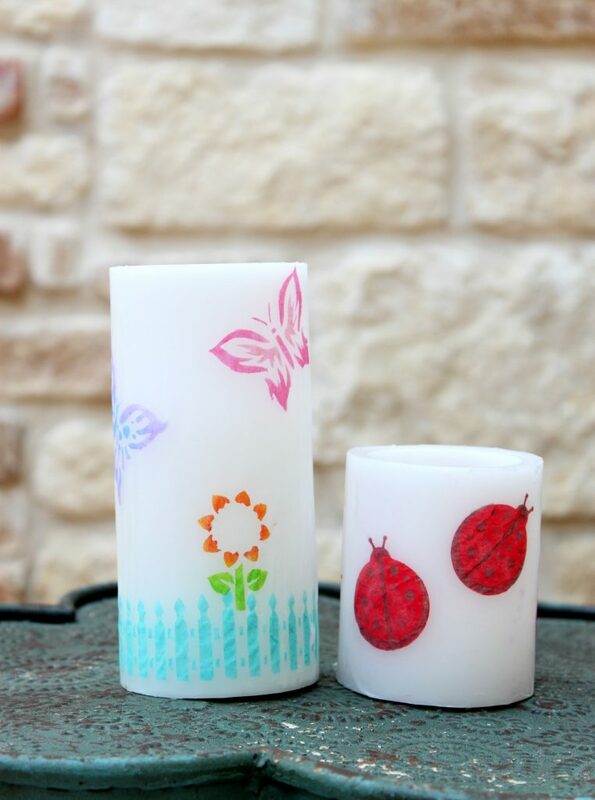 Did you know that you can customize your candles with any design you like? 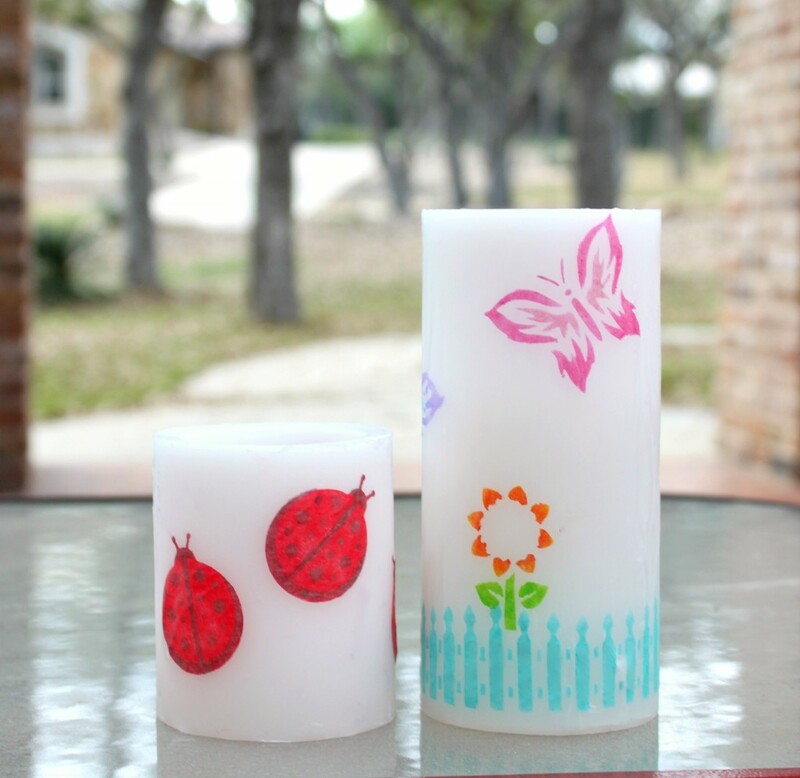 Keep reading to learn how you can use stencils and pigment ink to add vivid designs to plain white candles. Cut a piece of tissue paper so it is as tall as the candle and will fit around the candle without overlapping ends. 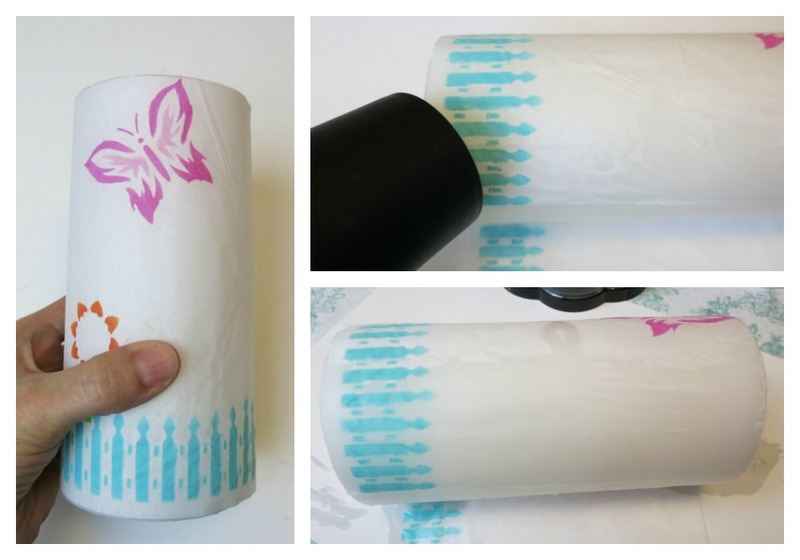 Place the stencil on the tissue paper. 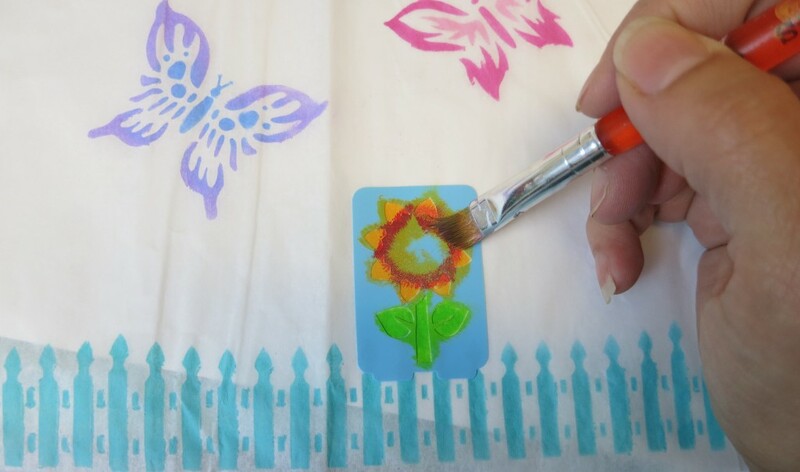 I am using a stencil that is lightly adhesive (it’s designed for glass painting), so it sticks to the tissue paper. 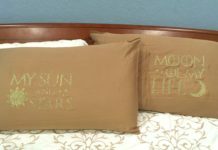 If you are using a traditional stencil you may want to tape it in place. 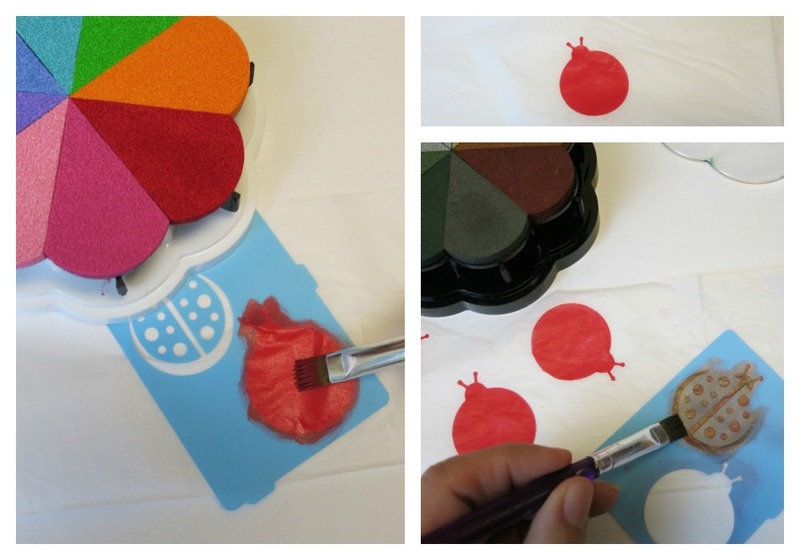 Use a flat, stiff brush to pick up the pigment ink and brush it onto the tissue paper. Run the brush across the pigment pad and then brush it onto the paper. 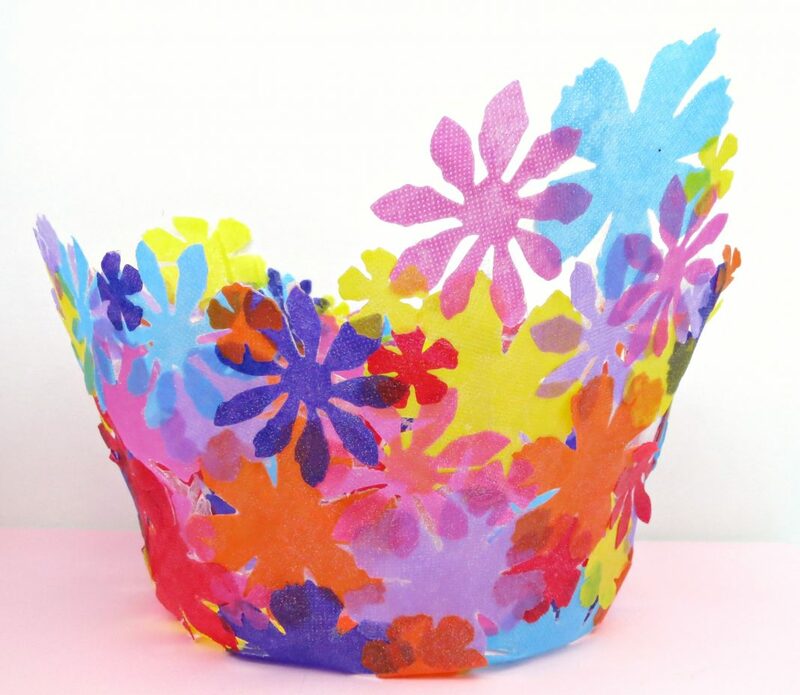 You get bright, rich colors without overwetting and ripping the delicate tissue paper. 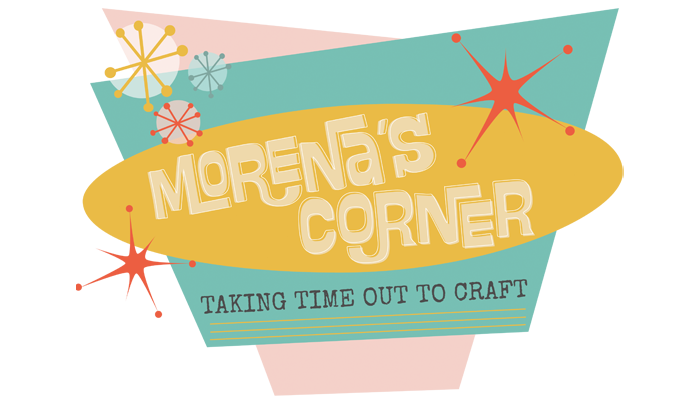 Add more color to the stencils. 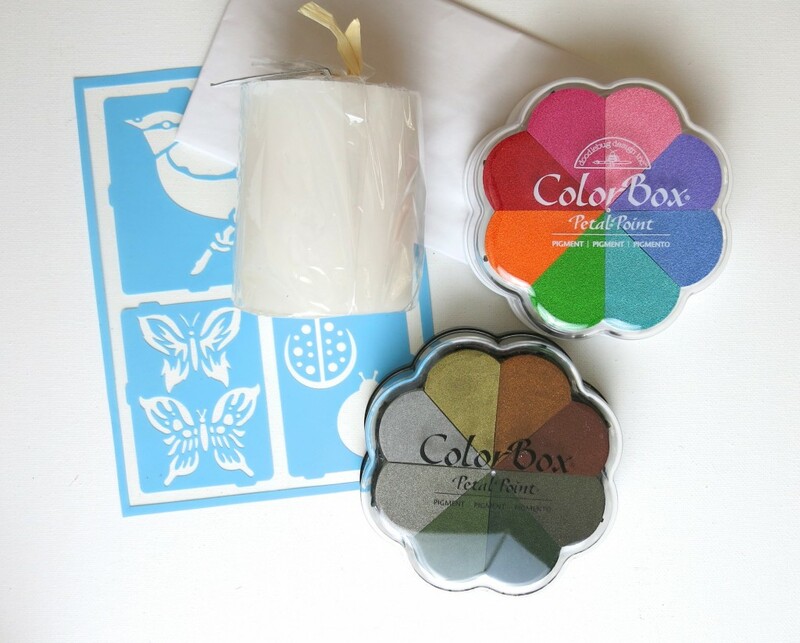 The pigment inks are perfect for blending colors. When your design is complete, let the ink dry briefly. Wrap the tissue paper around the candle. 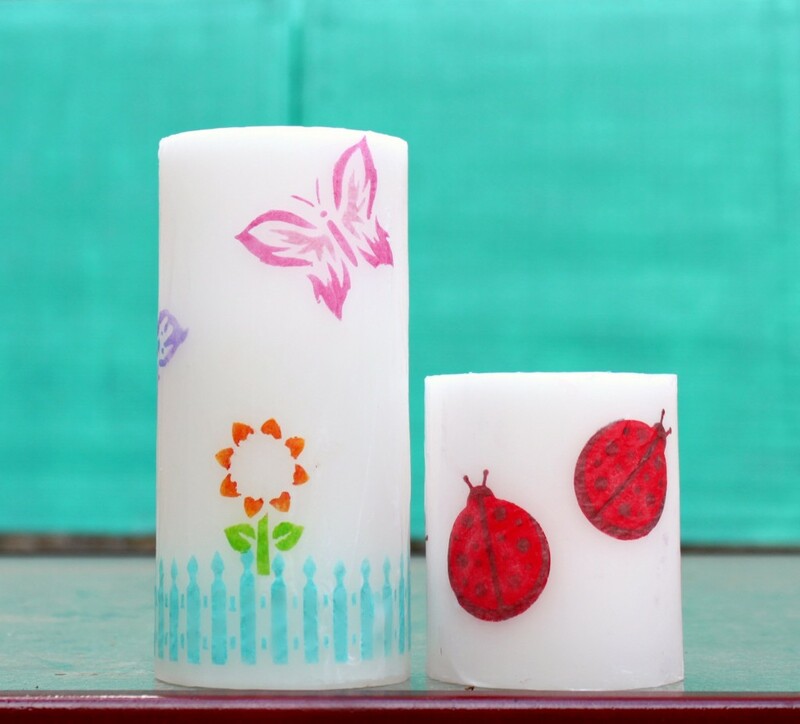 Use a hair dryer to carefully melt the wax and adhere the stenciled tissue paper to the candle. 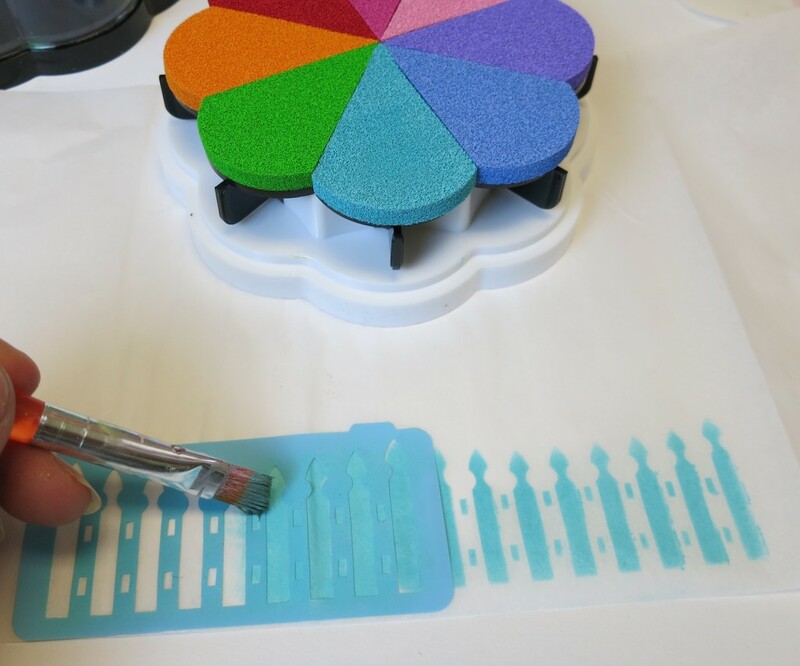 The white paper will “disappear” in the wax while the pigment ink images will remain bright and vibrant. 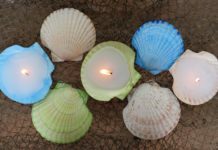 I used wax candle sleeves for my project, so they will last a long time. I just drop a battery operated tea light inside the sleeve and enjoy my custom candles! This would be a great way to decorate for the holidays. I also like to make these custom candles as gifts for friends. 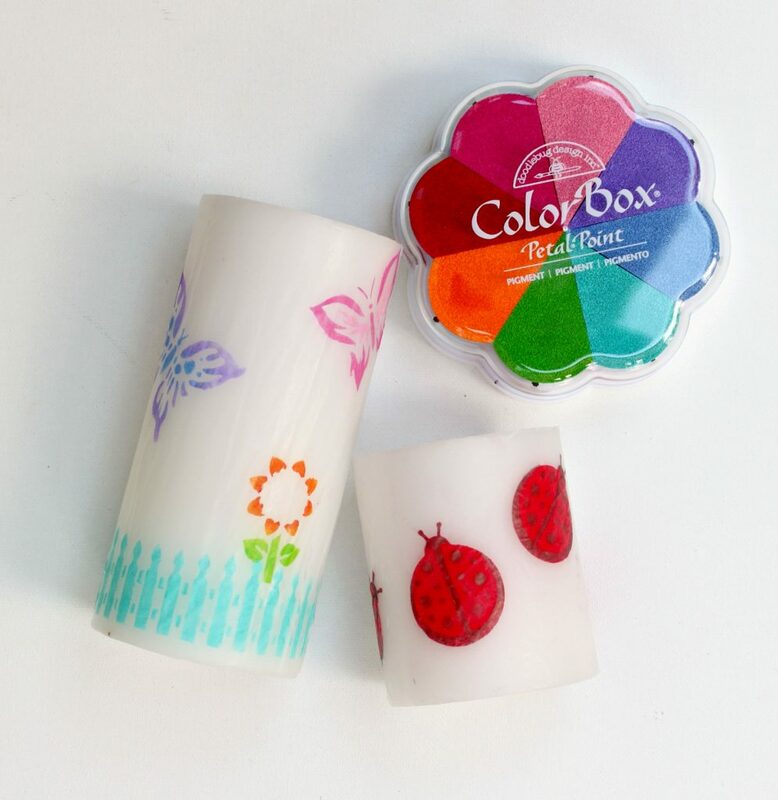 Have fun crafting and creating with Clearsnap Pigment Inks.